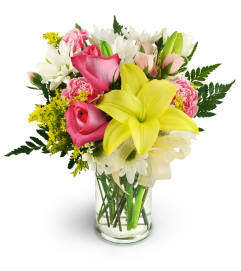 Bring some welcome warmth into someone's heart or home with the glowing orange tones of our Asiatic lilies. 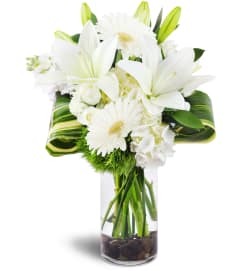 These apricot colored beauties are naturally complemented by the deep green shades of oregonia and nestled in a reusable rustic wicker basket - sure to add a cozy and inviting touch to any space! 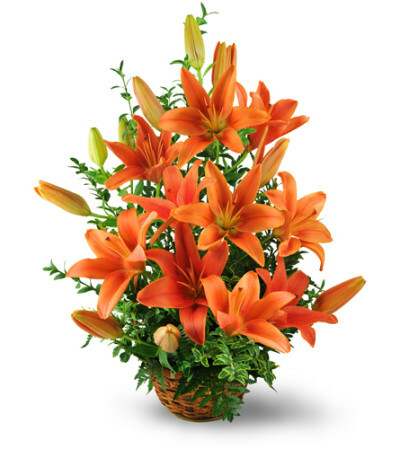 An array of orange asiatic lilies are displayed with oregonia in a beautiful basket.